Ben DiPietro interviews Tao Seangpeoam of Netzecs Solutions on how mobile can build culture and what businesses have to gain. Business transformations of any kind are difficult, but adapting to the fast-changing world of digital innovation and the shift to a mobile-based workforce and economy is even harder. A survey earlier this year from McKinsey found 16% of respondents said their organization's digital transformation resulted in better performance and put them in position to sustain changes over the long term; 7% said they had improved performance but couldn't sustain it. Even in industries ahead of the game in this area--tech, media, telecom--the success rate is just 26%, McKinsey reported. It's worse in more established sectors such as cars, oil, infrastructure and pharmaceuticals, where success rates range from 4% to 11%. LRN's research and experience with partner companies shows strong cultures are better equipped to deal with the disruption that comes from transformations, digital or otherwise. Tae Seangpeoam, founder and chief executive of Netzecs Solutions, an advisory firm focused on workplace communications, discusses how mobile can build culture, and what employees and companies have to gain. How can mobile improve compliance oversight and culture-building efforts? 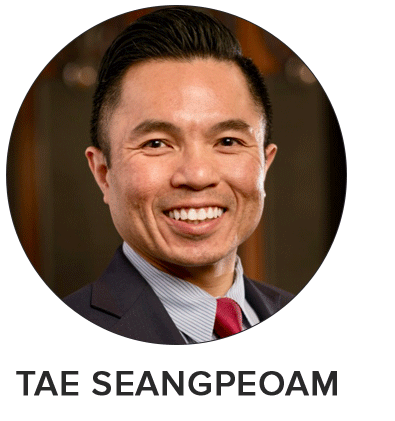 Tae Seangpeoam: Most current approaches fail to recognize human behavior and the need to attract active participation by the whole organization. Digital transformation and mobility offer the chance for an approach that integrates human psychology, behavioral economics and systems engineering into a unified communications platform that can strengthen internal communications in compliance, workplace engagement and the safety and well-being of employees. 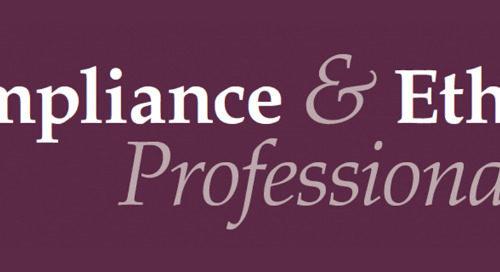 Also, compliance oversight could be less intimidating and help overcome employee resistance. The goal is to leverage digital mobility and help colleagues make well-informed decisions at the times they are needed, with the best information that aligns to organizational values. What do people mean by mobile? TS: People associate the word mobile to almost everything but to me it might be a little bit of overkill. When people use the term they often talk about anything to do with the mobile phone but nothing in terms of mobility. I want to talk more on how mobile plus ability equals mobility. Mobility is an ability to move freely, to be able to do business from anywhere in the world, and that has never been as simple and easy as it is now. Mobility enables us to do business easier...mobility gives us convenience and opens up access. However, this kind of innovation is not suitable to every industry or business. I anticipate 30% to 40% of businesses in the U.S. and around the world will disappear within a few decades due to digitalization. What is driving this transformation? TS: There are a few factors that come to mind: customer expectations, global market competition and the globalized workforce. The question is, how can organizations utilize information, data and their connection to customers to their benefit? How robust and nimble are their infrastructures to withstand change? When the microprocessor was introduced...businesses that once were considered leaders were gone overnight because they didn't adapt; they were complacent in their own success. People get lost in comfort and forget the world is not a comfortable place. TS: It can help them achieve a higher level of success. It can open many opportunities in terms of markets, collaborations, customers, workforce potential, technologies and creativity. But the ability to transform can be short-lived when organizations aren't able to scale or sustain it. What do employees get? Third-party-partners? TS: The sense of community in organizations where employees can feel safe, collective and purposeful. Employees want to feel they can trust and be treated fairly. Third-party partners and other stakeholders want to feel they work with organizations that align with their values. Digitization of a unified communication platform can connect employees to learn, share and gain knowledge and expertise. Organizational communication leads to more openness, engagement and trust. Organizations that build and create strong workplace cultures are more likely to have employees who are happier, more productive and more creative. The digital transformation opens an opportunity for employees to gain access and receive messages that are relevant to their core values. What are the risks of making a poorly executed transition? TS: Poorly executed transitions create chaos and confusion, besides wasting time and money. When a poor transition happens, organizations can send negative signals to employees, customers, and stakeholders. Productivity loss is cheap compared to loss of trust. While organizations focus on innovation and strategy, toxic culture has a longstanding history for infecting business and ruining morale from the inside out. Leadership becomes key, to make sure any transition is communicated clearly to all levels in the organization. 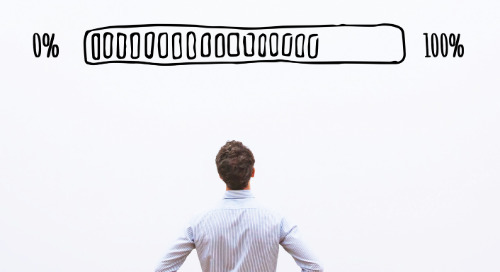 Digital transformations take organizations into uncharted territory. Those who fear investment on the inevitable future, or fear setbacks due to poor execution, end up being the businesses that don’t survive. Transition requires foresight, planning, flexibility and fearless execution. Organizations need to be open and willing to experiment with a forward-thinking approach. It is important to assess what help it needs to move forward in the right direction. 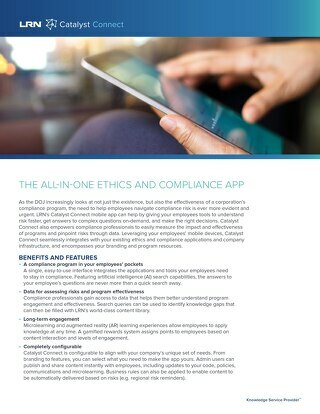 As today’s workforce leverages mobile devices as a normalized aspect of information access, the growth of mobile content consumption is reshaping how ethics and compliance practitioners innovate their program strategies. LRN's Marsha Ershaghi Hames and Sunil Bheda share their insights on how mobile enablement can drive workforce engagement. 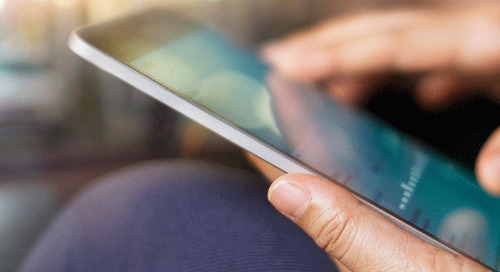 Click here to learn more and read about the three findings they've discovered about mobile adoption, and why E&C programs everywhere should consider embedding a mobile-enablement strategy. The number of mobile employees is projected to grow to 1.87 billion people by 2022, or 42.5% of the global workforce, according to a report from Strategy Analytics. That's up from 1.45 billion, or 38.8%, in 2016. Tesla named Robyn Denholm, a top executive at Australian telecom company Telestra, as its new board chairman, replacing Elon Musk, who remains Tesla's chief executive, AP reports. The fact it took athletic apparel company Under Armour until 2018 to end its policy of reimbursing employees for expenses incurred at strip clubs shows the problem companies have in eliminating practices that are entrenched as part of the culture, The Washington Post reports. Managers of pension funds that have billions of dollars to invest increasingly are asking companies to provide information about sexual harassment settlements and what they do to prevent such incidents, as they are viewing #MeToo moments as potential material risks, Bloomberg Quint reports. The Sustainability Accounting Standards Board unveiled on Wednesday 77 standards to get more information from companies for investors about the environmental and societal impact their operations have, The Wall Street Journal reports. Four of every 10 new directors added to boards in 2018 were women, a record, according to executive search firm Spencer Stuart, Bloomberg BNA reports. Motel 6 agreed to pay $7.6 million to Hispanic guests to settle lawsuits that claimed the company provided immigration agents with lists of people who stayed at their properties, Reuters reports. A bill proposed by U.S. Sen. Ron Wyden, D-Ore., not only would penalize tech companies for failing to adhere to new rules that increase oversight of tech companies on privacy and other matters, it would mandate prison time for chief executives that knowingly mislead regulators, Fortune reports. 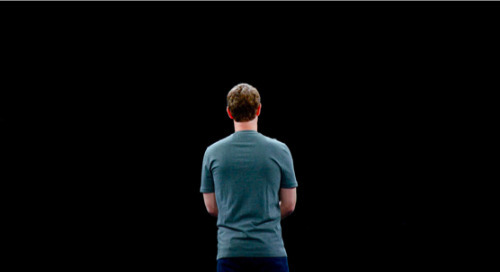 BSR this week released the results of an assessment Facebook asked it to do regarding the impact of the company's presence in Myanmar on human rights there. The company said the results showed it needs to do more to prevent its platform from being used to incite violence in the country, Reuters reports. 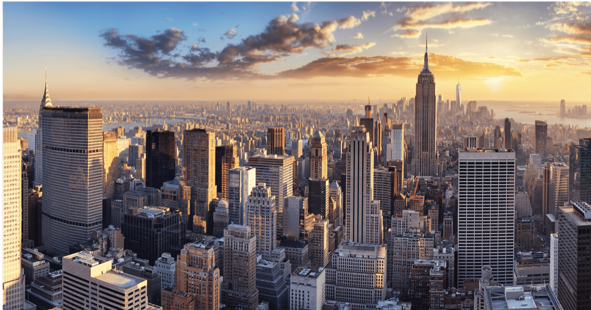 As New York introduces laws requiring companies to adopt sexual harassment prevention training and policies, LRN has created a helpful resource guide to educate companies on how to prepare. 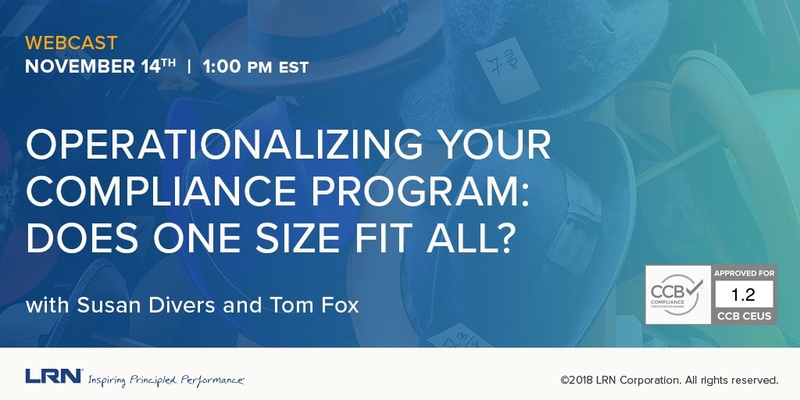 If you haven't already registered, join us on November 14th for our webcast on how to operationalize your compliance program featuring Tom Fox, The Compliance Evangelist, and hosted by LRN's Susan Divers. 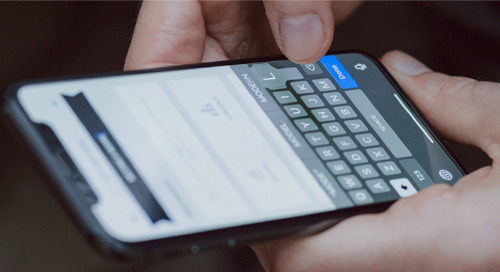 LRN's own Ben DiPietro dives into the topic of digital transformation and the opportunities mobile devices offer to advance compliance and ethics. 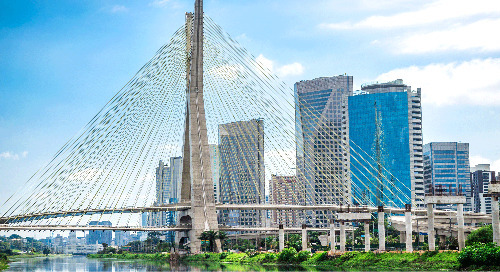 Discover the biggest challenges Latin American companies engaged in digital transformation are facing and how to overcome them. 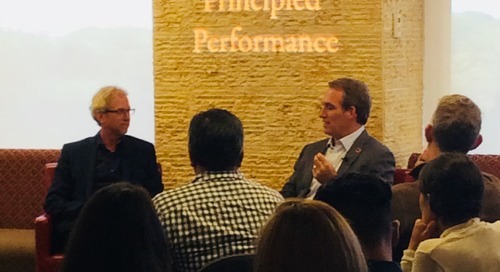 LRN CEO Dov Seidman and Accenture Chief Technology & Innovation Officer Paul Daugherty discussed the unprecedented implications of the burgeoning relationship between humans and machines.